After a 27/10 winner thanks to Cardiff and each-way goalscorer profits from Raheem Sterling’s goal against Bournemouth, we’re back with our best bets for the midweek Premier League programme, including an acca at better than 19/1. 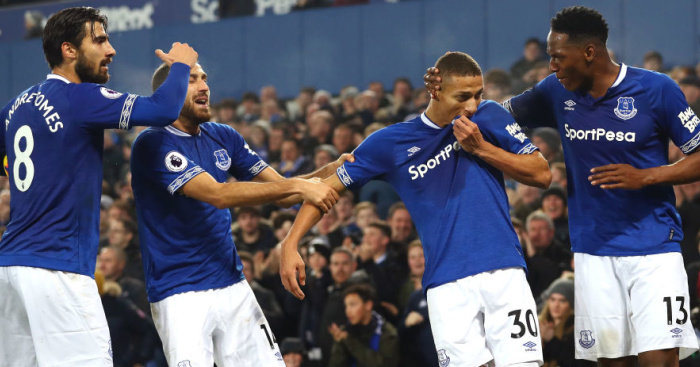 After Sunday’s derby heartbreak, Everton have an immediate chance to get back on track when they host a Newcastle side reeling from a 3-0 home thrashing against West Ham. When the disappointment of Sunday afternoon fades, Everton fans can reflect on the fact their fast-improving and hugely promising new side matched Liverpool for long periods and came closer than anyone bar Manchester City to getting something from Anfield. And their current form at Goodison means they should feel confident about an instant return to winning ways. They’ve won their last four at home, conceding just one goal in the process during a run in which they’ve also run Liverpool as close as can be at Anfield and drawn at Chelsea. Everton are sixth in the table and fully deserve that spot right now. Newcastle are an unpredictable lot, but they have lost every game thus far against the ‘big six’ having come off second best against Tottenham, Chelsea, Manchester City, Arsenal and Manchester United. Right now, Everton fully deserve to be considered among a ‘big seven’. BACK EVERTON TO BEAT NEWCASTLE AT 3/5! Arsenal’s north London derby victory over Tottenham on Sunday may well have been the best game of the season to date. A proper derby in every sense and a huge three points for Unai Emery in his first game against the Gunners’ biggest rivals. The big games keep coming, though, with a trip to Old Trafford next on the list. Arsenal should be feeling confident of another three points based on their own 19-game unbeaten run plus United’s stuttering campaign and the increasingly strained relationship between players and manager. Yet a curious Arsenal stat persists. Despite a much-improved first-half display on Sunday they are still yet to lead a Premier League game at half-time this season. As such, the chance to boost a 2/1 outright price on the Gunners to 6/1 by playing the HT/FT market has to be the way to go here. United’s last two home games have been goalless at the break, while they were also level at half-time in a game they went on to lose 3-0 to Spurs back in August. For the Gunners, Sunday’s win – from 2-1 down at the break – represents the first of their nine Premier League wins this season not to have come from a half-time draw. BACK DRAW/ARSENAL HT/FT AGAINST MAN UNITED AT 6/1! This looks a spot of value given Felipe Anderson has scored four in his last four Premier League games for West Ham, with his only blank in that run coming against league leaders Manchester City. West Ham are an inconsistent side but they’ve scored eight goals in their last four games and should be feeling good after the weekend’s 3-0 win at Newcastle. Cardiff have improved recently, but that’s been based entirely on their home form. 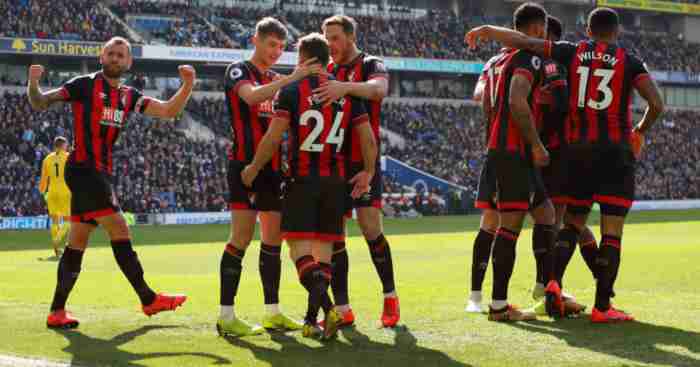 They haven’t taken so much as a point away from home since August at Huddersfield – also the last time they kept a clean sheet against anyone. BACK FELIPE ANDERSON E.W. TO SCORE FIRST AGAINST CARDIFF AT 6/1! 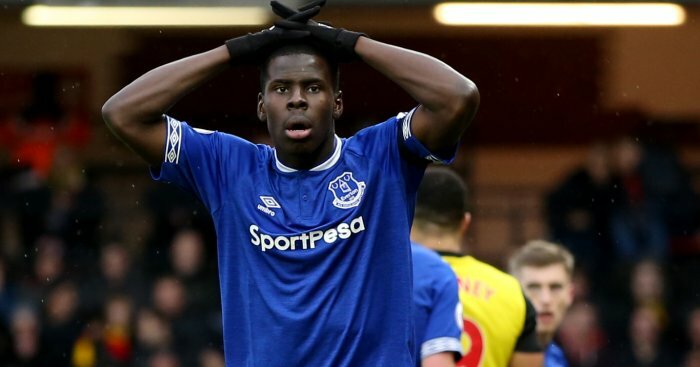 West Ham may be inconsistent but should deal with a Cardiff side that has lost five out of six on the road this season, while Everton’s merits against Newcastle have already been covered. Chelsea have won four of six away games in the Premier League this season and are 4/5 to get the better of a Wolves side that has now lost five of the last six, which looks tidy business and came close to getting the nod as the midweek banker. 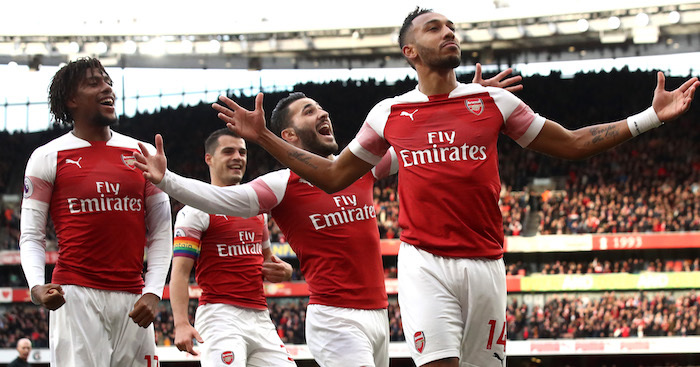 The Gunners are the big-price punt in the acca but really should fear nothing heading to Old Trafford given the form of their strikers and United’s current woes. And their local rivals Spurs should have little problem dealing with managerless Southampton. Spurs often fail to convince in this sort of game, but it’s rare that they fail to get the job done; they’ve won 11 of their last 12 against teams outside the big six, and all of the last eight such Premier League games at Wembley. BACK THE MIDWEEK ACCA AT 19.02/1!